In his annual address to the nation today, Chinese Premier Wen Jiabao emphasised his intention to clamp down on property speculation while vigorously ramping up China’s social safety net. “We will not only make ‘the pie’ of social wealth bigger by developing the economy, but also distribute it well on the basis of a rational income distribution system,” he said. The government will resolutely curb the precipitous rise of housing prices in some cities and satisfy people’s basic need for housing. The government will make greater efforts to deal with violations of laws and regulations such as keeping land unused, property hoarding, and price rigging. China will strictly control the launching of new projects this year in an effort to curb redundant investment. 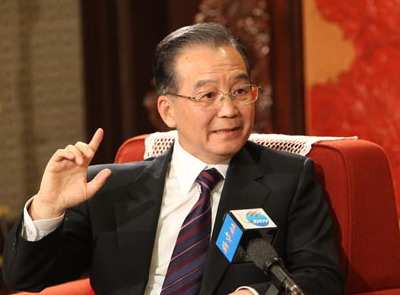 Yet monetary policy would remain stimulative since he said “We must not interpret the economic turnaround as a fundamental improvement in the economic situation.” Note that Wen Jiabao is expected to step down in 2013, so he’s likely to now be gunning for China to hold up long enough to ensure his 10-year legacy.